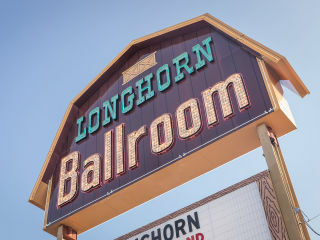 The Longhorn Ballroom will be the recipient of the 19th annual Preservation Awards in recognition of their dedication for restoring the historic Longhorn Ballroom. Other recipients of the 19th annual Preservation Awards include Allen Building, Beazley House, Brackney House, Brown Cracker & Candy Company, Corrigan Tower, old Dallas High School, Dallas Municipal Building, old Dallas Public Library, First Presbyterian Church, Juanita J. Craft Annex, Mercantile Commerce Building, Saigling House, The Statler, Tower Petroleum, Winnetka Congregational Church, 1038 Kings Highway, 223 East Sixth Street, 2300 Custer Parkway, 5536 Tremont Street and 3712 Maplewood Avenue.